Taking a run on this beach inspired me to draft a calendar for upcoming About That Ratio posts. 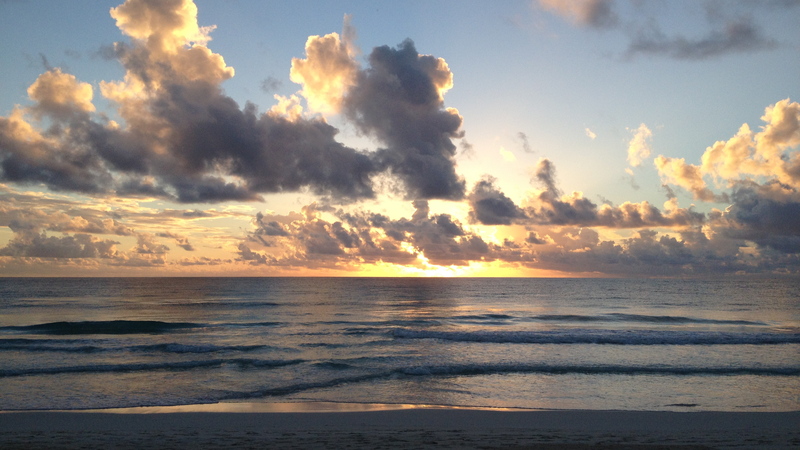 Yes, the quiet beauty of this sunrise in Tulum, Mexico sparked an unexpected rush of ideas for sharing observations and insight on this site. Rather than keep those plans quiet, today’s piece provides some context for the coming months activity. As I did last year, I do intend to post a “tip sheet” every Friday morning by 8 AM ET. In addition, I will continue to share my thoughts from the various conferences I attend and participate in (regardless of day or time). That said, I’m open to suggestions about when and how often to present my take on trends and topics impacting financial institutions. Feel free to leave a comment below or DM me on twitter (@aldominick). (1) While on vacation, I read “Cracking the Code: The Winning Ryder Cup Strategy” by Paul Azinger and Dr Ron Braund. In it, the two write that “great challenges open the door for even greater innovation.” While writing a column is, at times, a labor of love, I am eager to build upon my efforts in 2013. I went back through my posts and found my favorite ones reflected on anecdotes picked up while meeting business and banking leaders from all parts of the country. For this reason, I anticipate many of my 2014 pieces being shaped by what I see, hear and learn while out on the road. Fortunately, I am slated to be in Nashville, New York City, Phoenix, Dallas, San Francisco, Los Angeles and Chicago before the weather warms up… and calling D.C. home affords me numerous opportunities to pass along thoughts from inside the beltway. (2) I write this blog for bankers first, and executives that support banks second. While I’m fortunate to meet with officers and/or directors from financial institutions, I deliberately write for a broader audience. 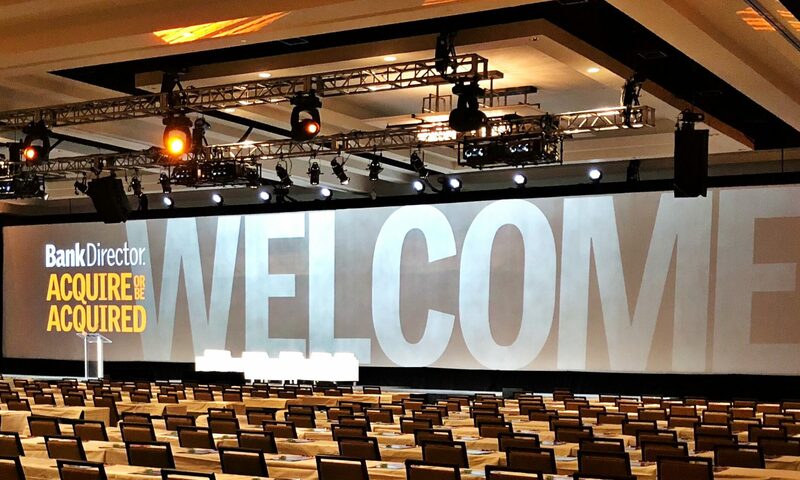 Essentially, anyone that works with or for a financial institution that cares about “the tone at the top.” For this reason, I will continue to share trends, topics and themes from a number of conferences this year. For example, Bank Director’s Acquire or Be Acquired conference at the Arizona Biltmore this month and May’s Growth Conference at the Ritz-Carlton New Orleans. Being that these particular events bring together CEOs, CFOs, Chairmen, board members and key officers from across the country, I doubt I will be at a loss for ideas or inspiration. Its not just our company’s events I’ll check in from. There are a number of programs held throughout the year that provide insight and inspiration to bank executives that I’ll share too. (3) To keep things fresh and ground in fact, I will share research summaries from various organizations. To get out from the numbers and into the clouds, I am inviting guest authors to write a piece(s) on what they are seeing and thinking about. In addition, I’ll begin reaching out to bank CEOs to ask for their thoughts on various topics like cyber security risk while inviting executives from various professional services firms for their take on matters that range from financial services technologies to valuing a bank to compensation matters. A lot of ground to cover, a lot of fun to be had. 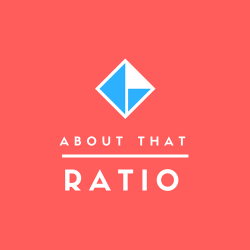 Yes, I’m quite excited for this year’s About That Ratio!